Congratulations to Noah McCracken for being selected Athlete of the Month for Encore Rehabilitation-Hamilton, AL! Noah is a Junior at Hamilton High School. He plays Varsity Football (#73) for the Aggies. His future plans include attending Wallace State Community College and pursing a Physical Therapist Assistant degree. Noah is the son of Matt and Joy McCracken. We wish you all the best, Noah! Hamilton Encore Athlete of the Month, Ben Hood. Congratulations to the Hamilton Encore Athlete of the Month, Ben Hood! Ben is a Senior, multi-sport athlete at Hamilton High School. He is a member of the Baseball and Basketball teams and wears jersey number 24. After graduation, Ben plans to attend a community college, then transfer to Mississippi State University. He is the son of Jeff and Kelly Hood. Good luck your senior year, Ben! Hamilton Encore Athlete of the Month, Peyton Woods. Congratulations to the Hamilton Encore Athlete of the Month, Peyton Woods! Peyton is a Junior multi-sport athlete at Hamilton High School. He has been a member of the Aggies Varsity Basketball and Golf teams for three years now and wears jersey number 11. Peyton has won the All-Area, All-County, All-WAC, and Times Daily Honorable Mention awards during his high school career. After graduation next spring, Peyton plans to attend college to major in secondary education and become a basketball coach. He is the son of Earl and Tanya Woods. Keep up the good work, Peyton, and good luck this coming basketball season! Hamilton Encore Athlete of the Month, Luke Hall. Congratulations to the Hamilton Encore Athlete of the Month, Luke Hall! Luke is a junior at Hamilton High School. He has been a member of the varsity baseball team for 3 years and loves the game. After high school, Luke plans to attend a 4 year college to major in Engineering. He is the son of Mark and Jeanette Hall. Keep up the good work, Luke! Hamilton Athletes of the Month, Brady Stults and Cole Reed. Congratulations to the Hamilton Encore Athletes of the Month, Brady Stults and Cole Reed! Both students are multi-sport athlete from Hamilton High School. Brady Stults is a Junior with a 4.1 GPA. She has played Varsity Softball and Basketball for 5 and 3 years respectively. A few of her sports awards consist of All-Area softball 2014, 2014-2015 Basketball Defensive Player, 2014-2015 Hustle award in Basketball, All WAC Basketball 2015-2016, and 2012-2013 All-County Softball. After she graduates high school, she plans to attend a 4 year university and major in the medical field. Brady is the daughter of Joey and Lisa Stults. Cole Reed is a Sophomore with a 4.2 GPA. He has been a member of the Varsity Football, Baseball, Basketball, and Track teams for a year and a half now. He wears jersey number 9 in Football and Baseball, and number 23 in Basketball. His sports awards consist of the All WAC, All-County, and the Times Daily 4A-7A Big Play Award in Football. After graduation, he plans to attend college to major in engineering. Cole is the son of Mike and Michelle Reed. Hamilton Encore Athlete of the Month, Taten Palmer. Congratulations to the Hamilton Encore Athlete of the Month, Taten Palmer! Taten is a Junior, multi-sport athlete at Hamilton High School. He plays Basketball and Football for the Bulldogs and wears the jersey numbers 12 and 15. Taten has played varsity sports for 4 years now and has received the 2015 Defensive Player of the Week Award, the 2015 Iron Man Award, and the 2014 All County Basketball Award. He plans to attend Bevill State after graduation and later, transfer to a 4 year college to major in Engineering and Construction. Taten is the son of Jeff and Rolna Palmer. Keep up the good work Taten! Hamilton Encore Athlete of the Month, Bryson Bridges. Congratulations to Bryson Bridges who was chosen as the October Athlete of the Month for the Hamilton Clinic! Bryson is a senior athlete at Hamilton High School. 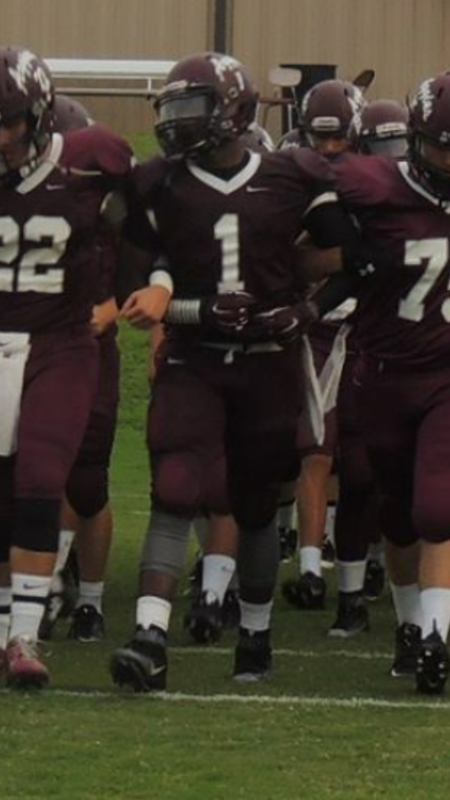 He has played on the Aggie’s football team for 4 years now and wears the jersey number 1. After graduation, Bryson plans to attend Mississippi State University to major in Engineering. Bryson is the son of Catherine Jean Standifer. Good luck the rest of this season Bryson!